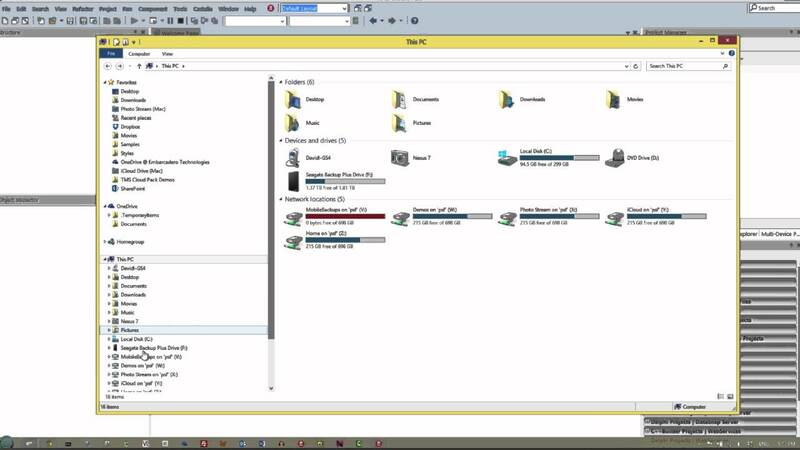 This "How To" video shows you how to use the Feature Installer. 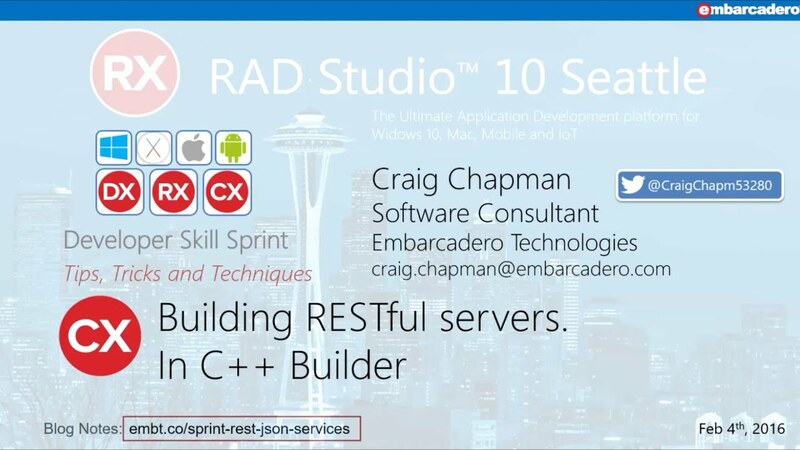 The Feature Installer is an installation wizard that lets you select an initial set of RAD Studio features to install, such as support for specific combinations of programming languages and target platforms, language support, or help resources. During the installation process, the Installer starts the Feature Installer automatically. During the installation process, you must have a working internet connection to download content required to install the selected features. 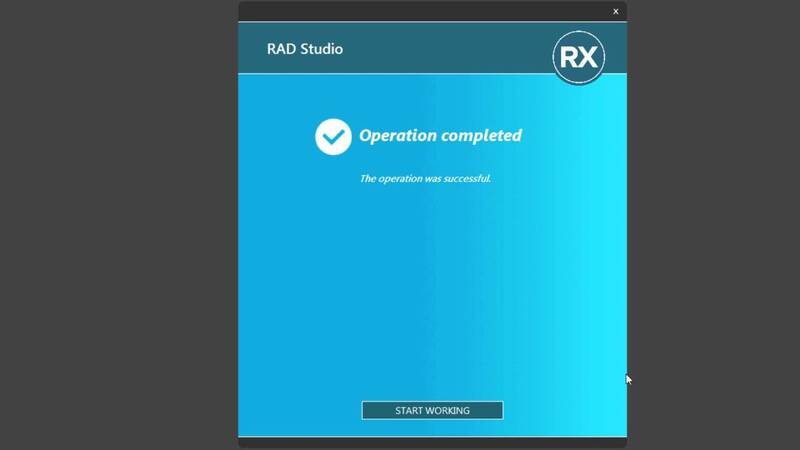 After you install RAD Studio, you can install additional features or remove installed features using the Feature Manager. 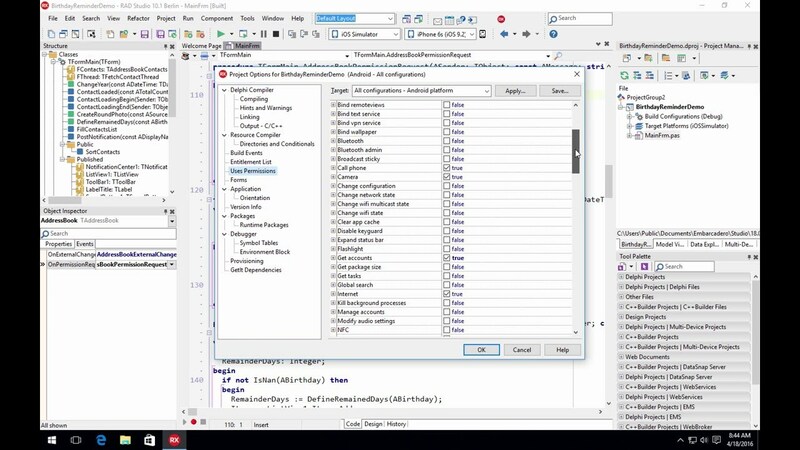 You'll find it in the IDE's Tools | Manage Platforms menu item. 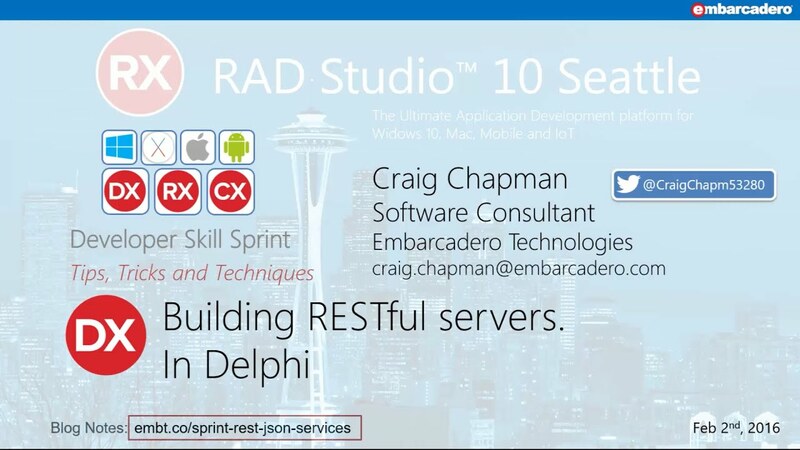 This "How To" video takes you through the steps required to setup and configure your Windows development environment, Macintosh OS X and iOS device so that you can run your iOS application (Delphi only) on the iOS Simulator (only for Delphi) on the Mac and on your iOS Device. 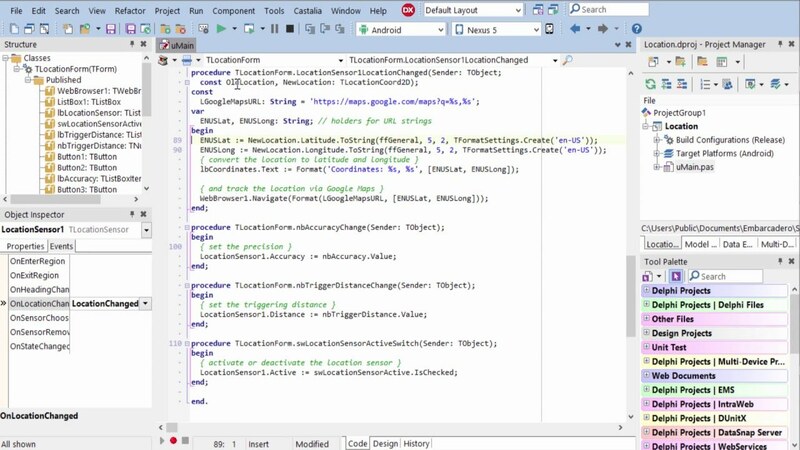 This "How To" video takes you through the steps required to setup and configure your Windows development environment for Android Application Development. 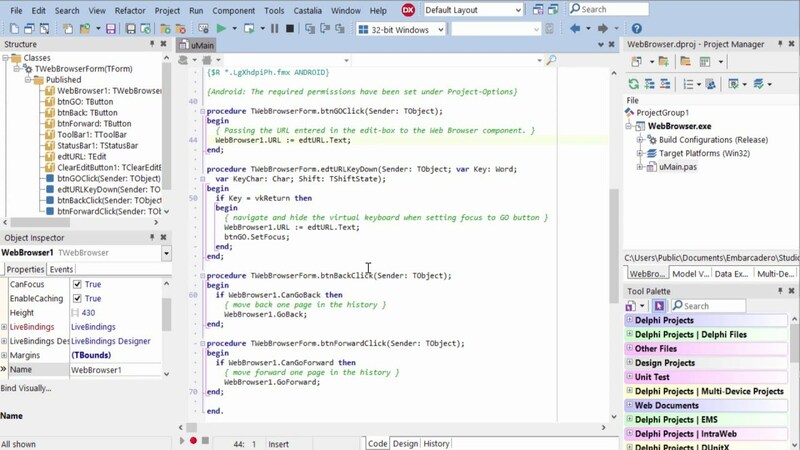 This "How To" video takes you through the steps required to setup and configure your Windows development environment for Win32 and Win64 Application Development on your local and remote Windows PCs. 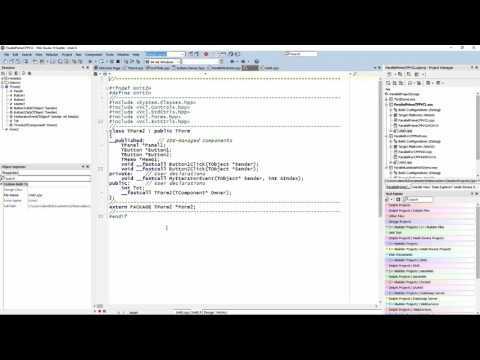 This "How to" video demonstrates how to build and debug your first VCL application. It explains the different sections of your code and how they work together to make an application. 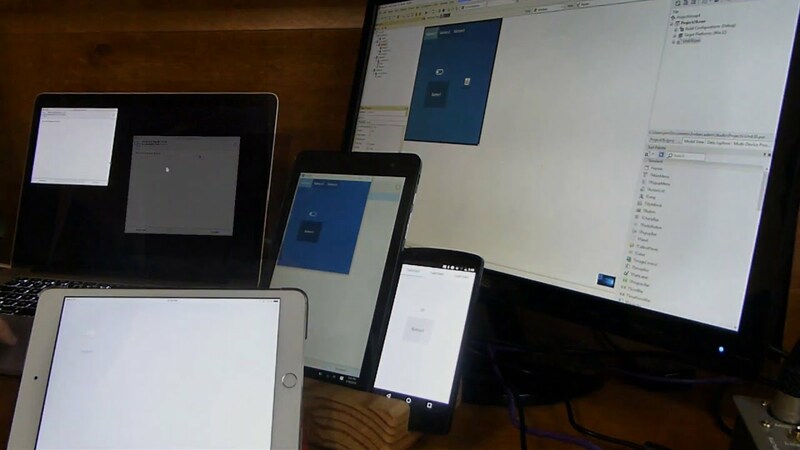 How to start a new multi-device project in C++ Builder, with a breif explaination of the generated files. 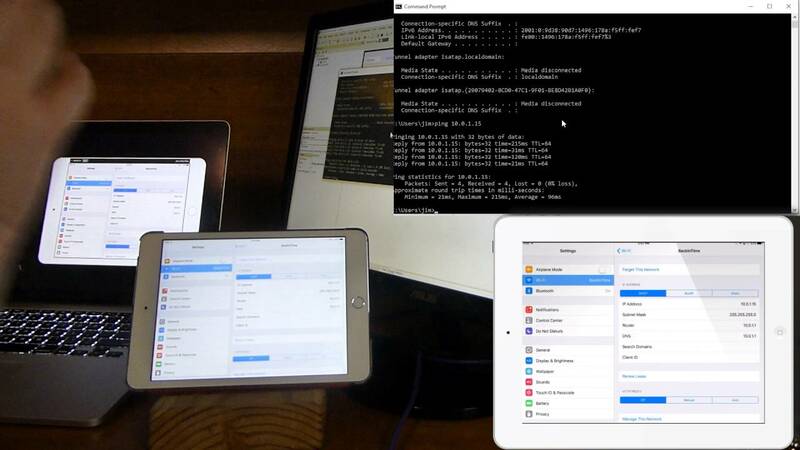 How to start a new multi-device Delphi application project, and a brief explaination of the generated files. How to start a project from the object repository templates, and how to add your own form and project templates to the repository. How to add controls to a form, position and size them, adjust their properties, and how to use some keyboard shortcuts for the designer. 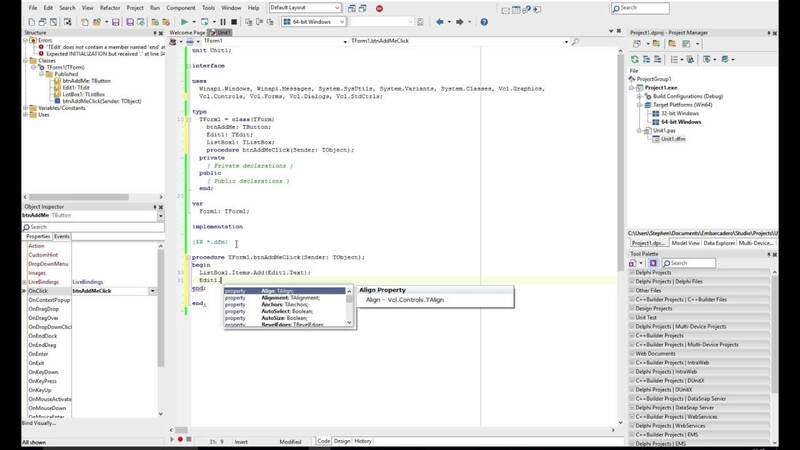 Creating your first InterBase application using Delphi (or C++Builder) and FireDAC, including tips to speed up development using the data explorer. 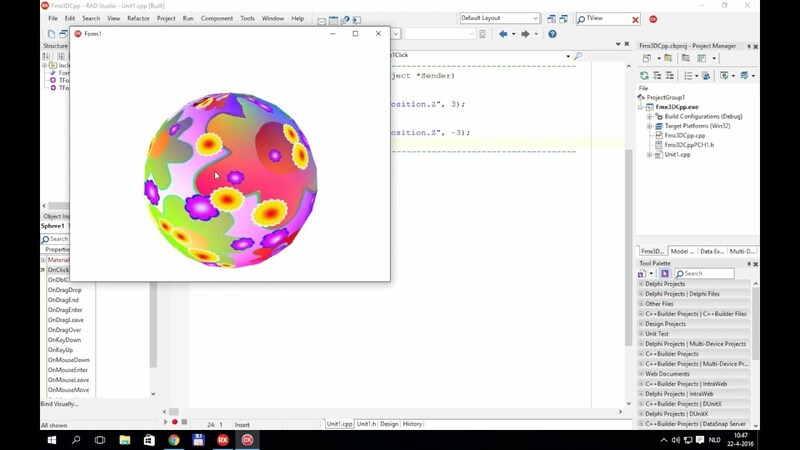 Create your first C++Builder FireMonkey 3D interactive visualization of a rotating sphere with a custom texture. 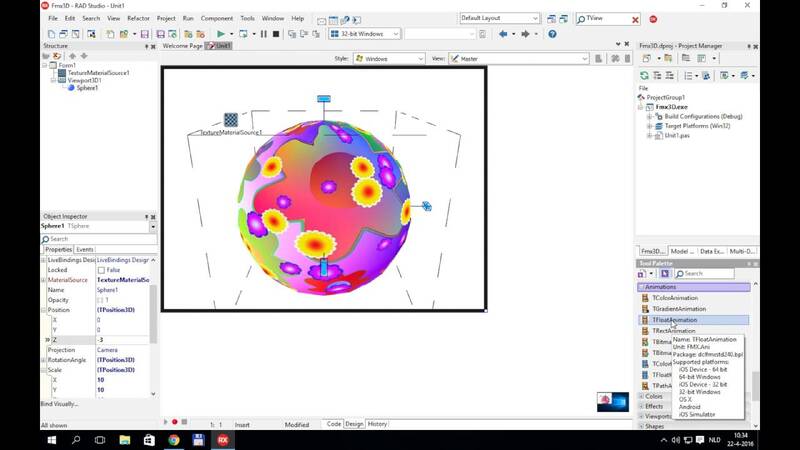 Create your first Delphi FireMonkey 3D interactive visualization of a rotating sphere with a custom texture. 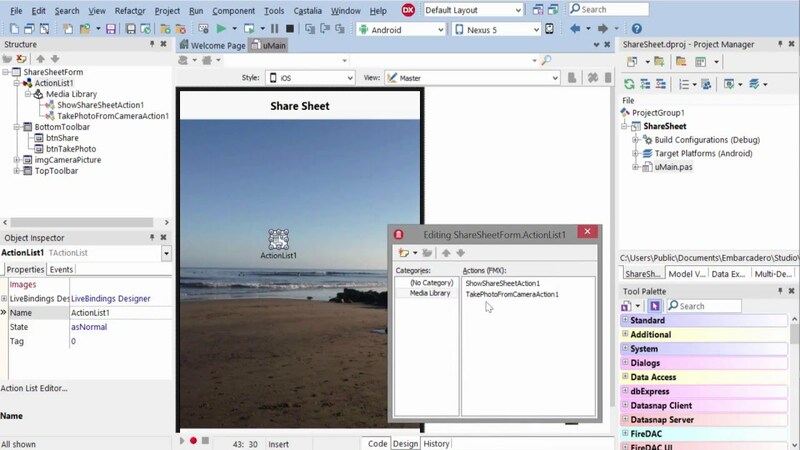 Learn how to add camera to your simple C++Builder FireMonkey 3D application and use mouse or touch events to control camera's position. 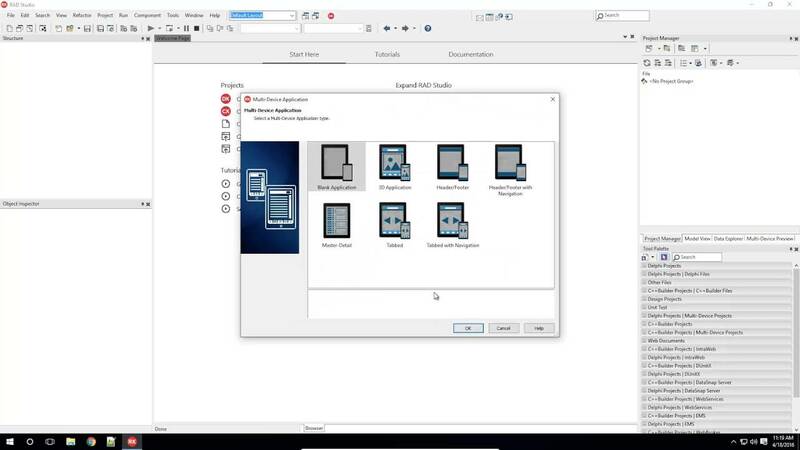 Learn how to add camera to your simple Delphi FireMonkey 3D application and use mouse or touch events to control camera's position. This How To Video uses the Parallel Programming Library's TTask class to manage procedures that can be executed in parallel threads. 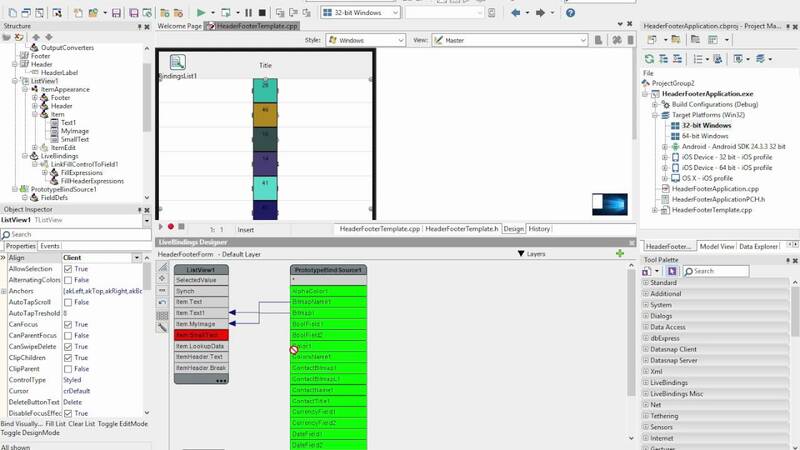 The TTask class creates and manages task instances represented by the ITask interface. The task procedures, including C++ lambdas, provided to the constructor are considered ready for execution after calling the Start method. The WaitForAll, WaitForAny, and the Wait methods of ITask are used to explicitly suspend execution of the calling thread to wait upon any or all running tasks. To cancel the execution of any task, call the Cancel method of the relevant instance of ITask. A task procedure can be created and managed for execution directly using the Run method. 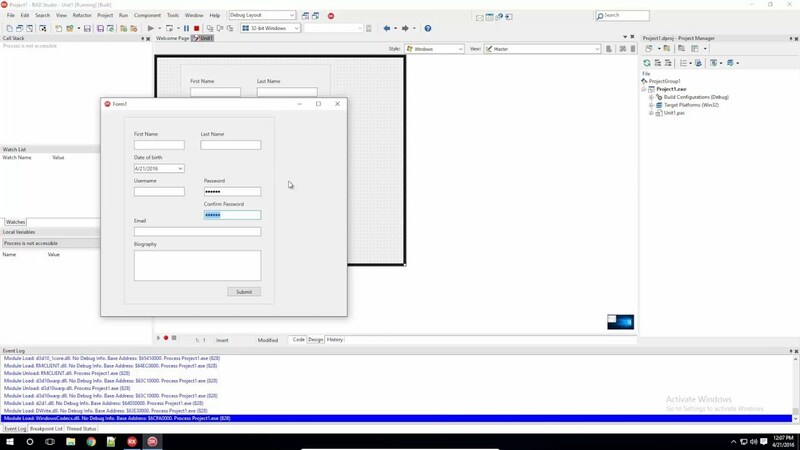 The ListView Item Designer in RAD Studio 10.1 Berlin makes it easy to create your own custom appearance modes at design time. 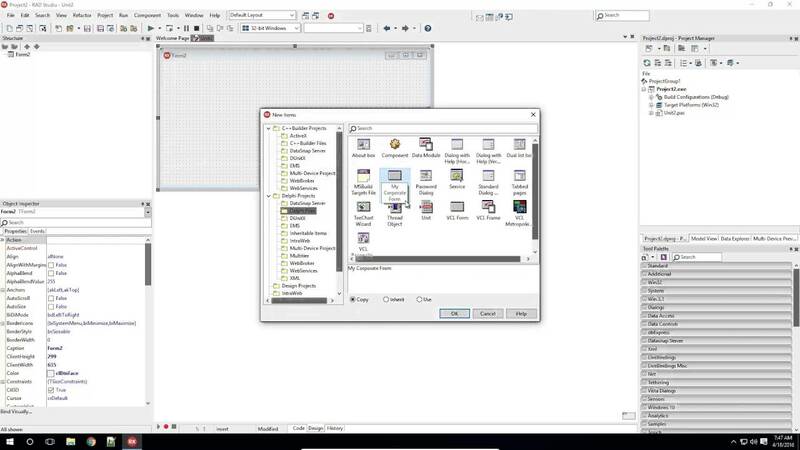 Using the visual item designer, you can quickly add new objects like buttons, text labels and images. Easily connect your list to your data source using the LiveBindings Designer. With the new TAddressBook component in RAD Studio 10.1 Berlin, you can access your contacts on both iOS and Android. Access all or individual contacts, create new contacts, edit or remove contacts, create groups and more. 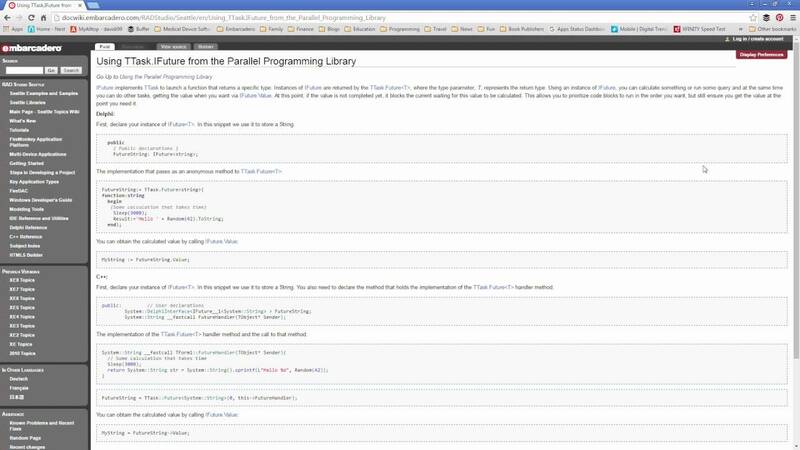 This How To Video shows you how to use the TParallel::For method from the Parallel Programming Library (PPL). TParallel::For splits a for loop into pieces that run in parallel and uses tasks to run those pieces. The VCL and FMX demo applications find the first X prime numbers. This calculation is done with a serial version using the classic C++ for loop and a parallel version using the TParallel::For method. This How To Video shows you how to use C++11 lambda functions with the Parallel Future feature in the Parallel Programming Library. 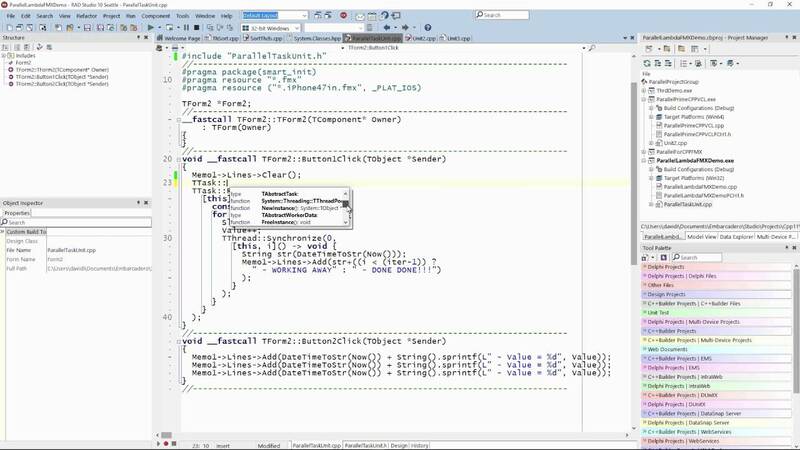 Parallel Future uses TTask::Future to launch a function that returns a specific type. TTask::Future, where the type parameter, T, represents the return type. Using a future allows you to calculate something or run some query and at the same time you can do other tasks, getting the value when you want via future's value. If the value is not completed yet, the Parallel Programming Library blocks the current code waiting for this value to be calculated. 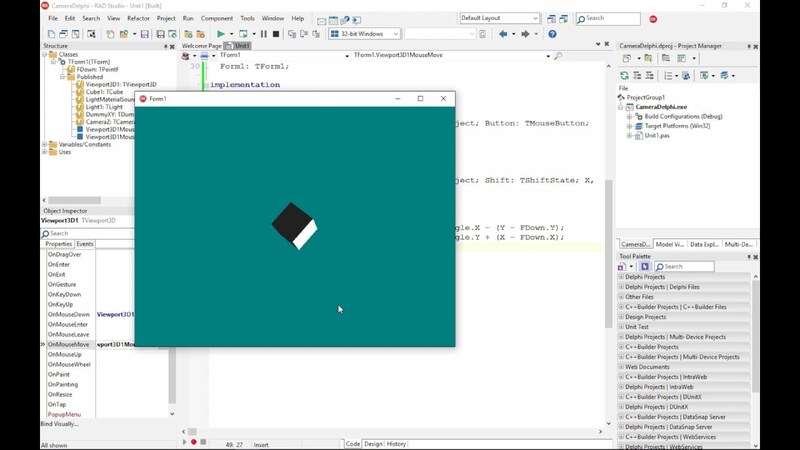 Detailed steps and tips for connecting and using LivePreview with FireUI to get live, real-time preview of your user interface on device as you design it in the IDE. LivePreview is a new feature for FireUI introduced with 10.1 Berlin that gives you a live, real-time preview of your user interface on target devices as you design it in the IDE. Using the TLocationSensor to obtain the current latitude and longitude and responding to the OnLocationChanged event displaying a map to the user in a TWebBrowser on both iOS and Android using C++Builder. 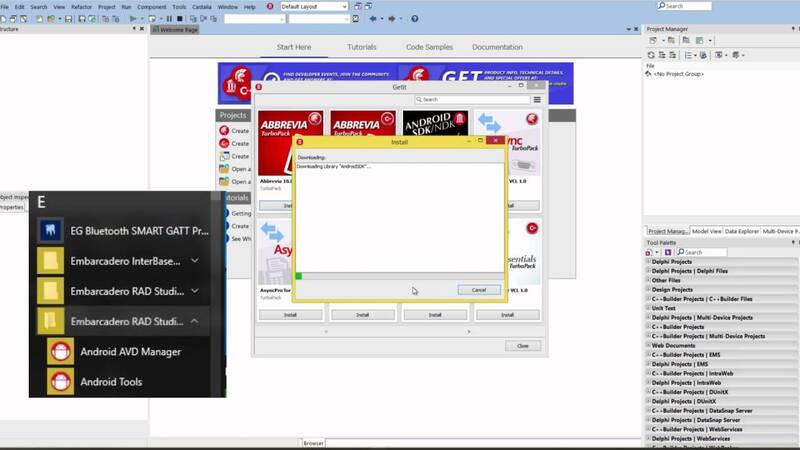 Embedding the TWebBrowser in your desktop or mobile app to allow users to browse the web or view web documents using Delphi. Embedding the TWebBrowser in your desktop or mobile app to allow users to browse the web or view web documents using C++Builder. 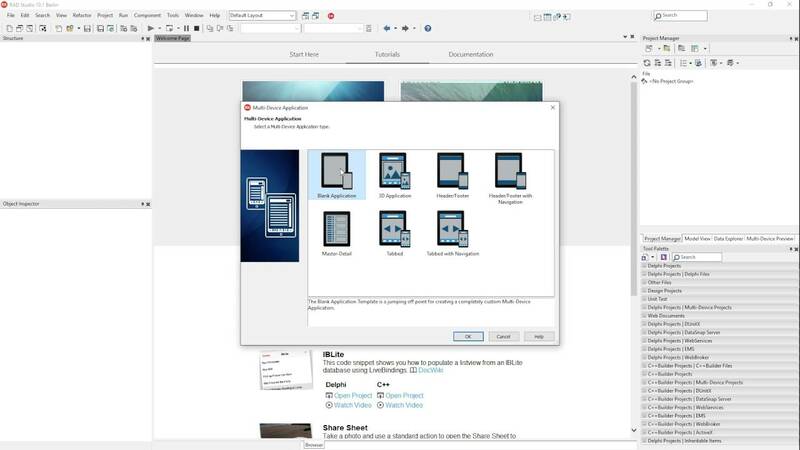 The media actions make it easy to access the camera roll, take pictures, and share via social media using Delphi. 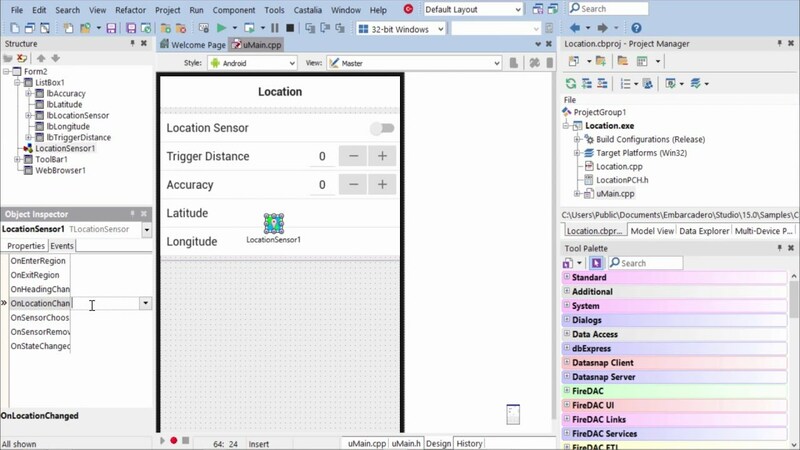 Using the TLocationSensor to obtain the current latitude and longitude and responding to the OnLocationChanged event displaying a map to the user in a TWebBrowser on both iOS and Android using Delphi / Object Pascal. Using the REST Client Library to connect to a REST service over HTTPS/SSL, obtaining a GZIP compressed JSON response, parsing it , and placing it in a memory table. 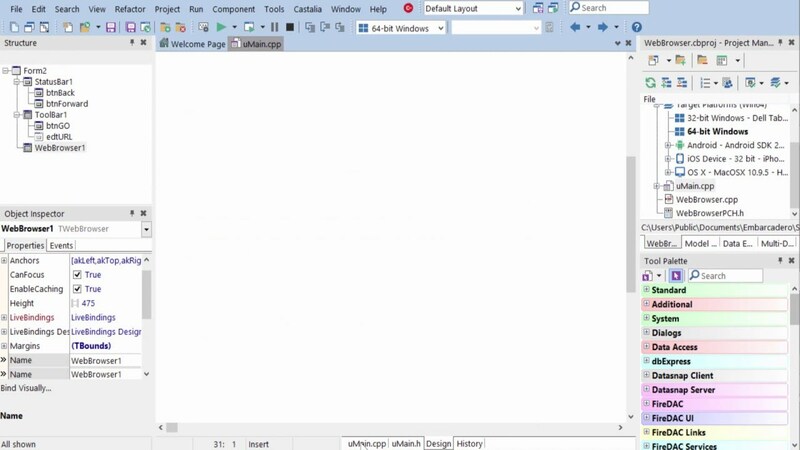 Binding it to a grid and displaying it to the user. 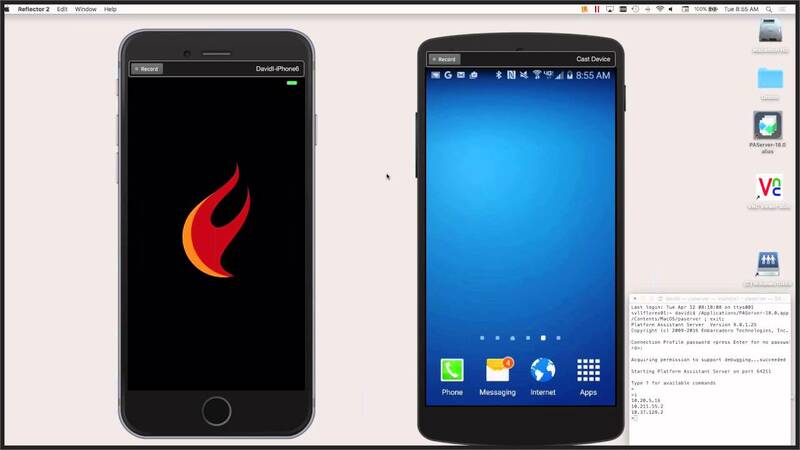 Compatible with VCL, FireMonkey, Windows, iOS, Android and OS X. 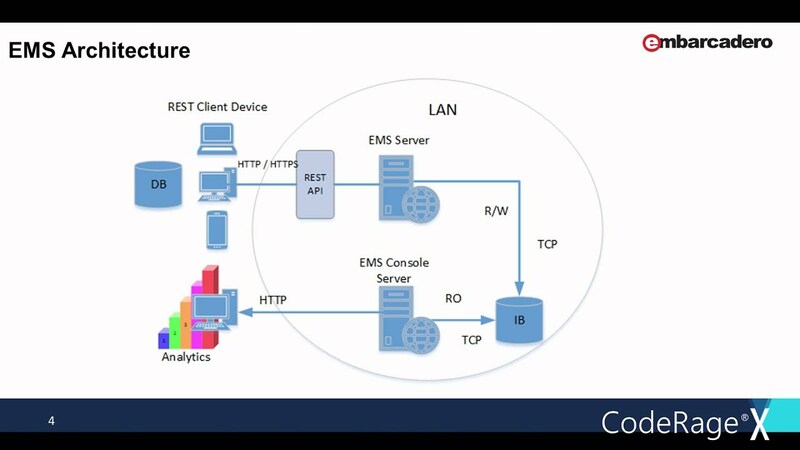 This how to video shows you how to configure and use Embarcadero's Enterprise Mobility Services (EMS) to integrate with Apple Push Notification Service (APNS) and Google Cloud Messaging (GCM) to send notifications to iOS and Android devices. This video shows you how to download (from the GetIt Package Manager) and use the Polar H7 Heart Rate Monitor ThingConnect IoT component in your Delphi multi-device applications. Requires 10.1 Berlin or newer, Professional edition or higher. 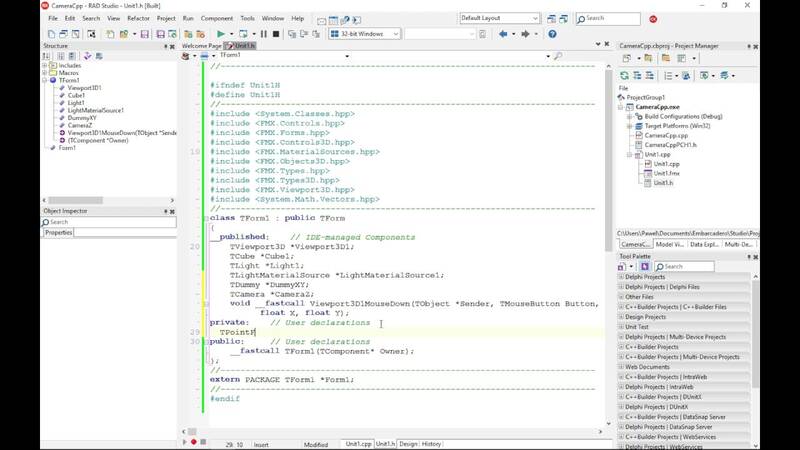 This video shows you how to download (from the GetIt Package Manager) and use the Polar H7 Heart Rate Monitor ThingConnect IoT component in your C++Builder multi-device applications. 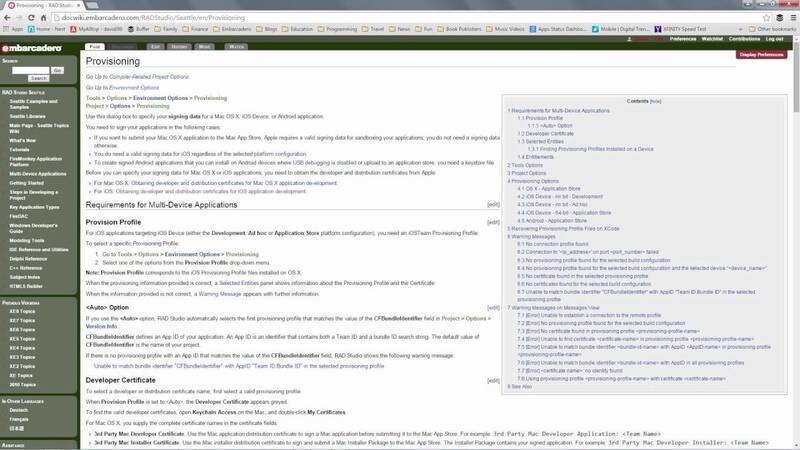 Requires 10.1 Berlin or newer, Professional edition or higher.